Press Release:- The Government of Saint Lucia remains committed to continued dialogue with the Customs Department and all stakeholders in the establishment of the Border Control Management Authority. Before making decisions that will fundamentally reshape the lives of workers take a consultative approach. The people chose the present administrators to offer servant leadership not authoritarianism. The Customs Officers should stoutly resist the present changes by the government until they are fully satisfied that their present status will not be adversely affected. The Chastanet-led government is corrupt, amoral, confrontational and exclusionary. The people need to denounce and launch massive protests against their asinine, bumptious attitude. The people are the BOSS. Today you attack customs, police marine, immigration etc.then who next?. Officers don’t you give up! of private citizens. If so, lets just put the Judiciary and police there as well. Customs is a law enforcement agency similar to the police with almost the same powers or more.To allow that under any Prime Minister, especially one as devious as this is to allow more damage to the people of this country. Very well said James Landers. All your points are so pertinent. There will always be detractors to any worthy cause, one just has to pay them little or no attention and fight on. This cause is fully justified. The men and women presently at the helm of government do more damage than good to the country and its image. Such a set of unethical, recalcitrant, supercilious buffoons running the country. Presently, the country is been overwhelmed with a plethora of challenges, conflicts, controversies, confusion and ineptitude. Time for the civil service to bind together against this wrecking crew parading as a government. Why is the government still talking about dialogue. The ball is in their court. All you need to do is to repel the statutorization of customs through cabinet simple. Am I the only one lost here? Whilst Customs is the ones at the fore front, they will not be the only ones affected. The coaat gaurd is supposed to play a vital role in the border control what is going to happen to them. Will they be ask to resign and re apply..why is it that they have not been consulted on the matter . Will it be push sown their throat and accept…what if the coast guard says they don’t to be in a statutory body. Yes. They same way they went to cabinet to implement it. They now have to go back to cabinet to revise it. It would benefit the country if the departments when come to law enforcement are working as one unit.. When idiots like Anon make such comments like he is without a clue as to the operations of the department. Customs officers didn’t design the operations of the department it comes from government. Government can decide tomorrow to stop over time. 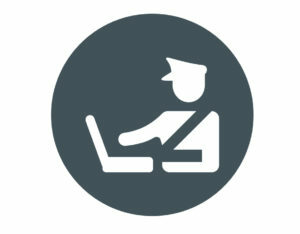 Customs is not the only department that have overtime for the staff. I agree that it should be a statutory body. Persons will be made to account for their wrong doings. There will be better structures in place. Clear line of authority. the present structure is not working. That is why some civil servants gets away with murder.